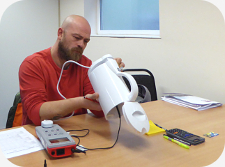 A lack of product training can result in under-utilisation of test equipment, low return on investment and, most importantly, incorrect use. Do you have a feeling that you are using only 20% of the features your product has to offer. Do you need a refresher course? Have your trained personnel moved on? Or simply lost the instruction manual?! "We are able to offer a range of product training modules to suit YOU"
Our bespoke training will be relevant to your application. We can update your knowledge on current technologies and innovations. Receive ‘Quick Reference’ sheets and short-cuts that ‘unlock’ the instruction manual. Receive clear explanations of menu structures. Learn good working practice eg. Health and Safety considerations - Your do’s and don’ts! Customise product settings to suit your application. "PS. You don‘t need to have purchases the product from us!" This training is intended for those with basic knowledge of the subject; for absolute beginners see our subject Awareness courses. Increasing demands of test and measurement, results storage and data analysis often means increased investment into more sophisticated test equipment, and maximising on those investments is key! "How do I use this thermal imaging camera?" "I‘ve forgotten how to use this PAT tester!" "How do I get the most out of this tester?" "How do I utilise its features best?" ...we deliver tailored full-day or half-day Product Awareness courses made up of modules designed specifically with your application and chosen model/software in mind. 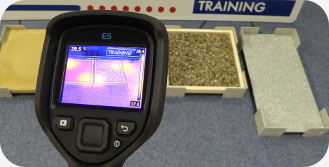 Years of experience have gone into gaining a detailed knowledge of how to operate testers from manufacturers such as Seaward, Megger, Fluke and Testo to the more specialised Flir thermal cameras, and specialist HV locating equipment from Seba, RadioDetection and Cable Detection. We have direct access to these manufacturers and with regular training sessions our knowledge is always growing. We have taken time to analyse instruction manuals and application notes… so let us pass this knowledge onto you so you can grow in confidence and ability. 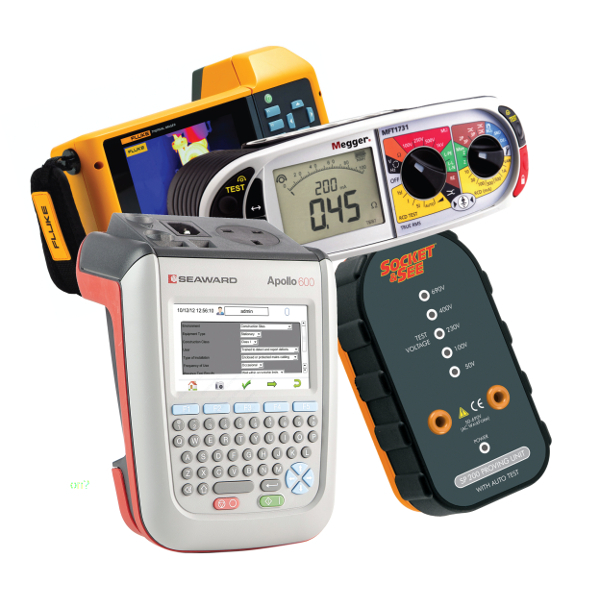 In our tailored modules we can cover the software you intend to use, such as FLIR Tools, Fluke Smartview, Testo Pro, Seaward Elements, Seaward PatGuard Elite, and Megger Powersuite. Contact our friendly team who will help guide you in fulfilling your training requirements - giving you easy access to the knowledge you or your company needs to grow!